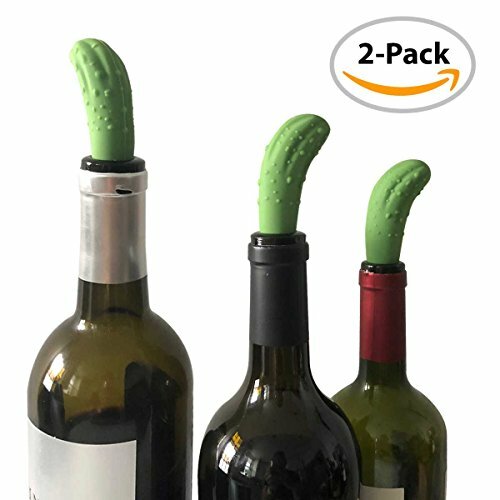 In a pickle trying to find a way to keep your wine fresh? Stick a pickle in it! Our silicone food safe bottle stopper is the perfect solution to saving your wine for later. HAWWWY Pickle Bottle Stoppers are made from 100% food safe silicone that creates an air tight seal to keep your wine fresh. Our wine bottle savers are sure to attract attention in any home / bar. If you have any questions about this product by HAWWWY, contact us by completing and submitting the form below. If you are looking for a specif part number, please include it with your message.